Jetpro wind turbines at Chazon Children's Center. An irrigation system is operational and six wind turbines are providing electricity for a primary school in Kenya thanks to AHEAD Energy. Chazon Children’s Center was begun in 2007 by Lucy Njenga and Samuel N Kimathi in response to the need to provide schooling to orphans and other children displaced by tribal violence in Kenya. Lucy and Samuel, both ordained ministers, sold much of their own property to purchase land on which to build a school. 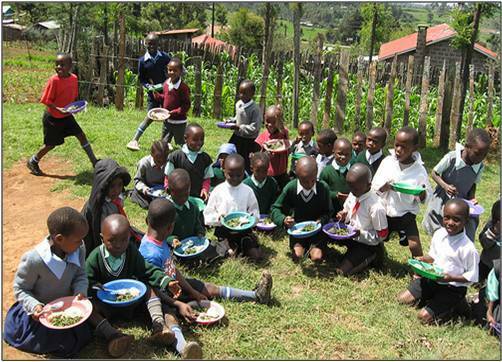 To date four classrooms and a cooking shed have been built. 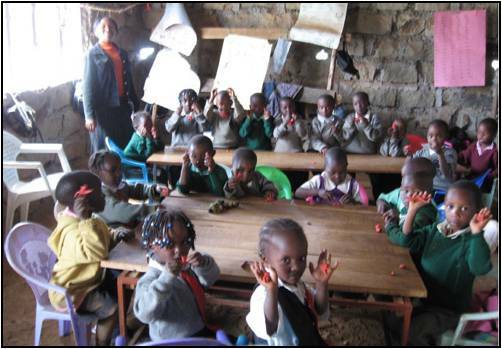 Each classroom is divided so that eight grades can be accommodated. The school had no electricity and cooking is still done over a three-stone fire. The school was also looking for a way to irrigate crops being grown on the school property. 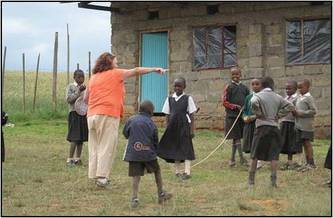 Psychiatric nurse practitioner Dr. Virginia Duffy, discovered the school on a trip to Kenya in 2009, and made a commitment to assist the school with its needs. Dr. Duffy approached AHEAD Energy, which quickly responded with information about the availability of KickStart pumps and Jetpro wind turbines. 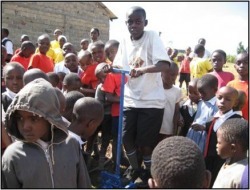 With funding provided by Dr. Duffy, a pump was purchased and is now in operation at the Center. Since the Center is on a hill where there are constant breezes, AHEAD secured a donation from Jetpro Technology (a Taiwanese renewable energy manufacturer) who also paid to have the turbines shipped to Kenya. AHEAD arranged for an electrician with experience installing renewable energy equipment to install the turbines and wire the buildings. 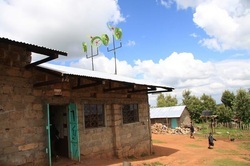 The electricity supplies lighs for the school, which is often needed during the rainy season to see indoors and also critical for security at night. 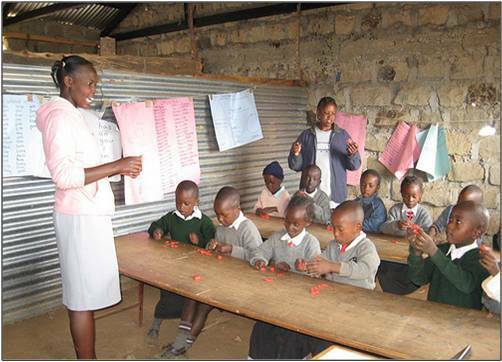 It also allows for the use of computers for student and teacher learning, improved record keeping, and communications with various agencies and others. A recent website and blog also need to be updated regularly.